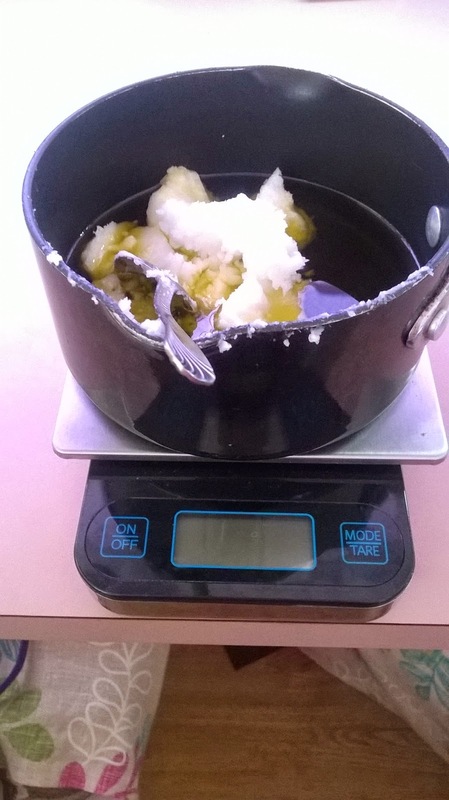 Beginners guide to making soap. Do you enjoy the pleasures of homemade soap? So do I! 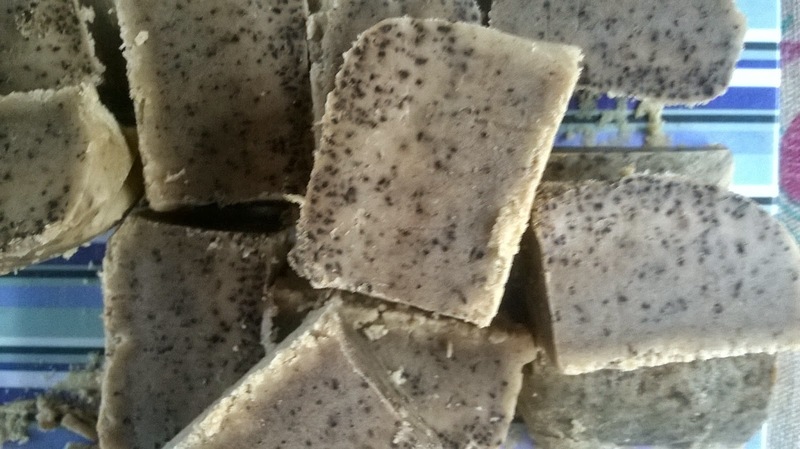 I have been making my own health and beauty products for almost two years now and I always wanted to make my own soap, but I was afraid of working with Lye. My first tip in this post: Don't let Lye scare you away from making soap. We have made two different batches now and while there is a science to it, there is also a special sequence of events needed to make the perfect apple pie. The rewards of making soap are many, and I knew I would love being able to customize my soap with different ingredients and textures but I was so afraid of the Lye. I had my bottle of Lye for at least four months before I attempted making soap. It sat high on the shelf mawking my fears... Okay so it wasn't that bad. We were busy and I knew making soap for the first time would require my full attention and a bit of research. I am by no means a soap making expert, I wanted to write this blog post though to share the information that helped me when making soap as a beginner. The first thing you should do is read over this post. It tells you which tools you will need and has a step by step guide for the process. This post does recommend to open plenty of windows for proper ventilation when using Lye but we prefer to take it outside until the fumes die down. Once you have a good grip on the tools and basic steps you can dive right in to the fun part: choosing ingredients!! 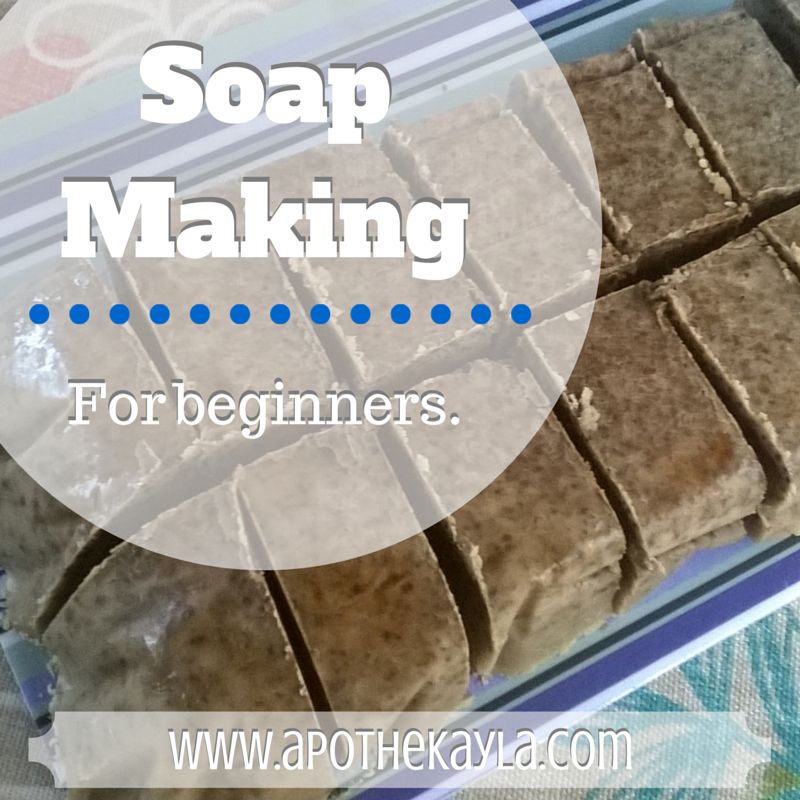 You can use a plethora of ingredients in soap making but you have to start with a few basics. You will need to use a good base oil such as hemp, coconut, or extra virgin olive oil in any recipe you make. My preference of course is hemp and coconut oils but when we left North Carolina I left my hemp oil in my mother's refrigerator so we used coconut and extra virgin olive oil this time. 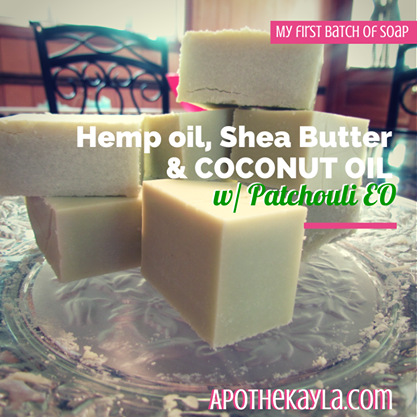 In our first batch of soap we used hemp and coconut oil. I suggest using this calculator when choosing your base oils to ensure you get the right outcome. This calculator helps you figure out exactly how much Lye and water to use based off of the oils you choose. You can choose to make a plain, unscented batch of soap and then grate it down later to melt and add scents or you can go all out and add dried herbs, exfoliates, essential oils, and colorants. I forgot to take photos when we made our first batch of soap, but this time I took some throughout the entire process. For our first batch of soap I used only patchouli essential oil because I wanted to make sure I had the process down pat before I started adding the fun stuff! We wanted to make sure if there were any problems we could easily replicate the recipe and figure out what went wrong. When I say we I mean my husband and myself. My husband has helped me both times and I strongly suggest having a friend help you as well. Its always nice to have an extra set of hands and someone who can help measure the temperatures when you get to that point. This time when we made soap, after doing research, I decided to replace water with organic green tea (make sure it has reached room temperature before mixing with Lye). I also chose to add used coffee grounds as a light exfoliant and we used patchouli, ylang ylang, and clary sage essential oils. One variability that we didn't account for was the temperature differences we go through on any given day while living in an RV. While our soap did set up in the end it took longer than normal and I'm guessing it may take a little longer to cure as well. Yes, that's right we made soap while living in an RV so if we can do it in our tiny-home you can too! When choosing essential oils for soap I like to look at their properties before I decide on the scents that I like. That may seem a little backwards but the physical, mental, and emotional benefits of the soap are amazing in the long run. Once I chose the oils for their properties I took care to blend them properly and make sure I would like the scent. When blending oils you should not just add 10 drops of each oil, you need to blend them in a precise manor. For essential oil reference I suggest these books: Modern Essentials and Emotions & Essential oils. Modern Essentials is my essential oil bible and I was just recently introduced to the Emotions & Essential Oils book, I love it already. The soap we made from the recipe above has the physical benefits of healthy cell growth, balance of skin and scalp (helps with healing skin including wrinkles, stretch marks, and dandruff on the scalp), soothes nervous tension, and hormonal balance (men and women). Along with the physical benefits of the essential oils in this blend there are emotional benefits as well. Patchouli "supports individuals in becoming fully present in their physical body... patchouli brings confidence in the body, as well as grace, poise and physical strength" (1). Ylang Ylang is the oil of the inner child. Emotions & Essential Oils says: "Ylang Ylang reconnects an individual with the child self and the pure, simple ways of the heart... this oils allows emotional healing to flow naturally, nurturing the heart through the process" (1). According to that book Clary Sage "assists in opening creative channels and clearing creative blocks. It eliminates distractions from the mind and assists individuals in finding a state of emptiness where creative forces may be realized" (1). So... if you are thinking about creating a home made product that can help to restore your mind and body soap should be at the top of your list. Again, there is a science to it and you should make sure you plan research time and adequate prep time. Making soap on your own is very rewarding and a useful way to be creative. Let me know in the comments below if you have made soap before and which ingredients you like to use! Looking for essential oils? Send me an email, I can give you all the details! 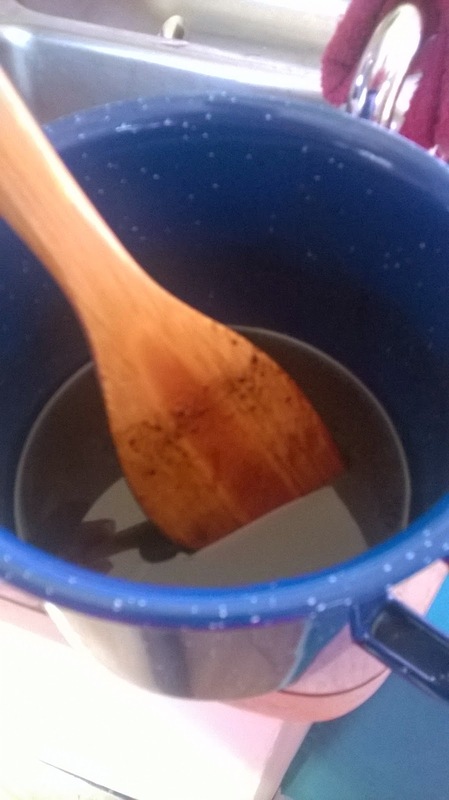 Thanks for reading and stay tuned for my DIY pH perfect shampoo! 1:Emotions & Essential Oils (Second ed.). (2013). American Fork, Utah: Enlighten.